The Sacred Spiral – The spiral represents the universal pattern of growth and evolution. The spiral represents eternity and continuity. The spiral in nature appears frequently. It is a symbol that represents innocence, rebirth, and the eternal. The sacred spiral is also an energetic symbol, it represents energy. In fact, if you look at pure energy under a microscope you will see that energy forms spiral patterns. Nature loves to make things round: planets, soap bubbles, oranges, eyeballs, the circular swirl of a spinning hurricane. A lot of forces are at play in favoring natural circles and spheres—the equalizing force of air pressure pushing out or gravity pulling in; the rotation of the Earth, creating vortices in air; the evolutionary imperative of efficient packaging. 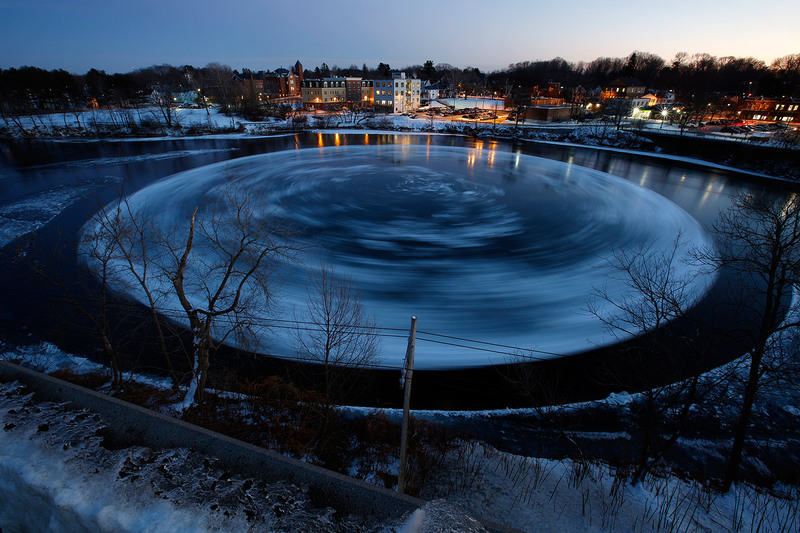 The power of the round is in the news again, with the appearance of a massive, rotating ice disk in the Presumpscot River in Westbrook, Maine. The disk was first noticed on January 14, spinning in a lazy, counterclockwise direction. On social media, the ice circle was an instant sensation, alternately said to resemble a British crop circle or the mottled face of the moon—both fair descriptions. Either way, the Presumpscot ducks loved it, settling down for a slow-motion ride. Ice circles are rare but hardly unheard of. What makes this one special is its size: 300 ft. in diameter, or 10 times bigger than the common 30-footers. The circle has always been an important symbol to the Native American. It represents the sun, the moon, the cycles of the seasons, and the cycle of life to death to rebirth. 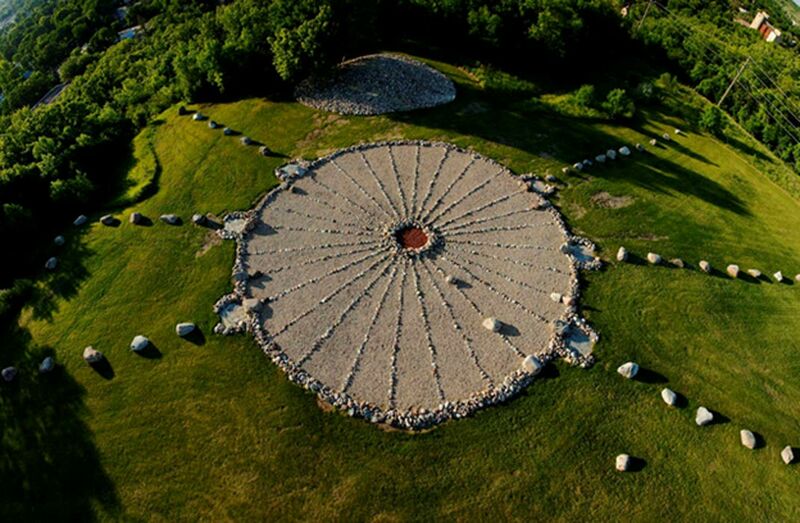 Represented by the circle is the Medicine Wheel, an ancient and powerful symbol of the never-ending cycle of life, used by Native Americans for various spiritual and ritual purposes. Our fascination with the ‘Ice Circle in Maine’, speaks to an instinctive longing within humanity. A longing to be filled with awe and wonder. This phenomenon serves a spiritual purpose…putting our lives in perspective. A reminder that it isn’t all about us. Rather, we are part of a universe that is awe-inspiring. We have a place in a cosmology that is far bigger than us, than we can imagine. Throughout time, such awareness, evoking humility, has spoken to the spiritual journey of countless people. We’ve taken various paths but are fueled by a shared passion to connect to that which is greater than oneself. 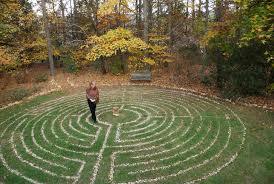 The labyrinth found in Christian cathedrals and forest glades, invites the traveler to walk the way of the circle and to be open to the blessings to be found. It has been said, that ‘everything is a circle’. If we allow ourselves to enter upon such a path, we may find ourselves returning to the Source of all that is good, lasting and true.